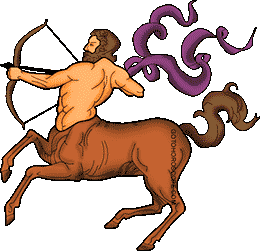 Sagittarius, this day probably will not bring you either sadness or delight. Events will evolve normally and give you a sense of stability and confidence that everything is under control. However, there are many who will not be satisfied with their situation. It is not recommended for you to start chasing explosive emotions and vivid impressions. The best option for you in finding these things is to watch an adventure film or read an action-packed love story by a famous author. how fascinating these readings are, generally there has been truth for me in many daily reads. but the monthlies tend to throw me off. but still fun. Common today date is 2 dec, show in tomorrow. update please. i has been manupurated and suffered from this monky behind the scene. It totally describes my personality, but I will be doubly careful now. It is amazing how dependent we are on the circumstances. Most of the times we simply don't think about it and sometimes we don't even notice it. However, it is the circumstances made up from the least noticeable events of our lives - events that to the larger degree do not directly depend on us - that form the world we live in. Surely, we might very well be the main creators or destroyers of this world. But, when faced with the power of all the circumstances, we are helpless. However, on the other hand, if one cannot make a river flow in a different direction, one can certainly change its channel. Or have a dam built and dozens of ecosystems destroyed while having dozens of new ones created. One should only know where and how to create a new channel and build a dam in order to maximize an effect. If we turn to engineers for help in developing technologic constructions, who will we turn to if we need help to figure out the patters of the events around us? The answer is obvious - astrologists. And the tomorrow's horoscope for Sagittarius which you can see here is a sure proof of this statement. Just don't be misled when it comes to horoscopes' omnipotence. It is not only that horoscopes are not omnipotent, but they could even be powerless if a person is simply not willing. That is if you don't believe in yourself and don't feel like changing a thing from the fear of making things worse, neither Mars nor Venus will ever be able to help you. This is an immutable fact. 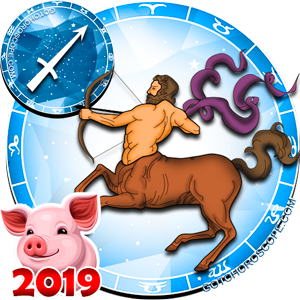 At the same time, tomorrow's horoscope for Sagittarius will prove to be a wonderful help for you if you know exactly what you want and how to get it. No one will fight your battles for you, but at times it is simply impossible to overcome obstacles alone. This is exactly the purpose of astrological predictions - they help us crush the barriers. Or make our way around them. Or perhaps even outsmart them. 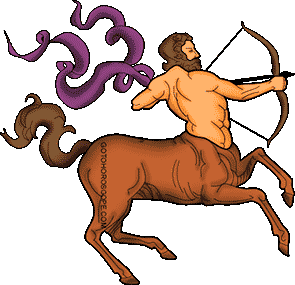 In any case, tomorrow's horoscope for Sagittarius can become a true guiding thread for the Archers - the guiding light that will help them avoid not all, but at least the most dangerous obstacles and traps. So, we only win when we turn to stars for help. At the same time, stars themselves do not ask anything in return: they hardly need a thing from people. It must be noted, though, that even our ancestors noticed that stars were much more willing to help honest, loyal and open people when compared to scoundrels and hypocrites. This may very well be one of the universe's main laws - the law of fairness.